Vox Humana (Latin for human voice) is the name given to the organ stop that tries to emulate certain qualities of the singing voice. It is appropriate, then, that the name was first given to our choir by an organist and choral conductor, Sarah MacDonald. Now a Fellow of Selwyn College, Cambridge, and Director of Music of the choir there, Sarah gave Vox Humana its name and its start as a project choir in Victoria in the 1990s, in the hope that someone would continue the choir once she left her native Canada. That continuation started in 2002, when Garth MacPhee, then Director of Music of the Church of Saint John the Divine, produced the first season of concerts under the name Vox Humana. From 2004-2010, the group was led by soprano and conductor Wendy McMillan, and since 2010 by its current Artistic Director, Brian Wismath. Vox Humana has gone from a relatively small group of no more than sixteen voices singing a cappella repertoire to a group of approximately twenty-four singers that frequently collaborates with soloists, small groups of instruments, other choirs, and full orchestras. Since 2004 they have been frequent guests of the Victoria Symphony. Their first two appearances were on the symphony’s very popular Christmas Pops programme, where they showed their versatility in performing everything from Praetorius to Britten to popular Christmas standards. Their collaborations with the symphony continued to include works such as Bach’s Christmas Oratorio, Handel’s Messiah, and Benjamin Britten’s powerful War Requiem, where Vox appeared alongside the Victoria Choral Society. The Victoria Symphony has also included Vox as a partner ensemble in two of their New Music Festivals; Vox presented its own programmes as part of the festival in 2014, featuring the music of Hungarian composer Gyorgy Ligeti, and in 2015, featuring the music of Irish composer Gerald Barry. New music has taken a more central place in Vox’s repertoire; the group now commissions works annually from both recognized and emerging Canadian composers. Their most recent commission in 2015 was from Vancouver-based composer Rodney Sharman, a setting of a text by Oscar Wilde called Requiescat. Each of Vox’s programmes now include either a world premiere or a Canadian/BC/Victoria premiere. These premieres not only include brand new music, but also music that has been firmly established in the repertoires of other choral communities but not yet heard in Canada. Vox released its first CD in September 2011, entitled Summer Rain. The title track is a composition by Estonian composer Toivo Tulev. The remainder of the CD features the music of Canadian composer Jeff Enns, and French composer César Geoffray. Currently, Vox produces six to eight programmes per season. Two of these have become popular annual traditions. The first concert of the season, Vox in the Stars, takes place in one of Victoria’s most beautiful settings, the Dominion Astrophysical Observatory, high atop Observatory Hill in Saanich, BC. The choir sings inside the large steel-structured dome that houses the famous Plaskett Telescope. As the sun sets, the choir sings under the open roof of the dome with the heavens in full view. The other event that has become an annual tradition is A Child’s Christmas in Wales, a concert of seasonal music centered on a dramatic reading of Dylan Thomas’s beloved childhood recollection. In addition to traditional Christmas favourites, Vox has commissioned brand new carols and arrangements from local composers for inclusion on this programme. 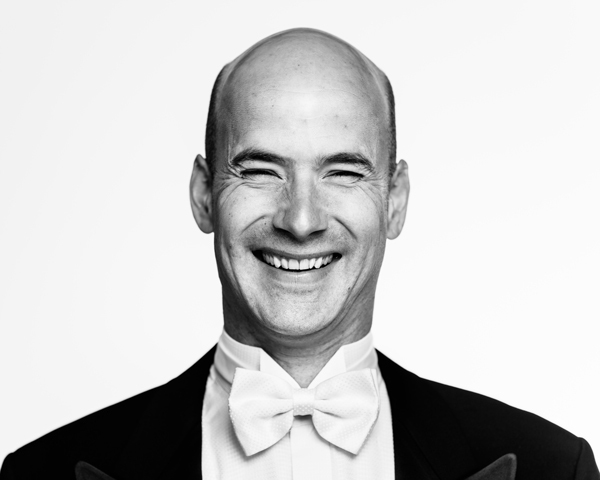 Brian Wismath is music director of Vox Humana Chamber Choir, Civic Orchestra of Victoria, Linden Singers of Victoria, Victoria Choral Society, and Victoria Conservatory of Music Chorale. With a rich musical background, Mr. Wismath is in demand as a clinician and has served as director of Vancouver Peace Choir, University of Victoria Chamber Singers and Tucson Masterworks Chorale, associate conductor of Orpheus Choir of Toronto and Chorus Niagara, and assistant conductor of St. Jacob’s Youth Choir (Stockholm, Sweden), Ontario Youth Choir and Opera in Concert Chorus (Toronto). A passionate advocate for the performance of new music, Mr. Wismath has commissioned and premiered numerous works by composers from around the world. He has prepared choruses for Robert Cooper, Laurence Cummings, Steven Devine, Robert Franz, Christian Kluxen, Jeanne Lamon, Tania Miller, Michelle Mourre, Giuseppe Pietraroia, Ivars Taurins, and Timothy Vernon.